Jaime Lee Moyer’s Delia’s Shadow won the 2009 Columbus Literary Award for Fiction. Moyer has sold short fiction to Lone Star Stories, Daily Science Fiction, and to the Triangulations: End of the Rainbow, and Triangulations: Last Contact anthologies, and edited the 2010 Rhysling Award Anthology for the Science Fiction Poetry Association. Moyer lives in San Antonio with writer Marshall Payne, three cats, three guitars, and a growing collection of books and music. CLICK HERE FOR MORE BY JAMIE LEE MOYER. Delia’s Shadow — (2013-2015) Publisher: It is the dawn of a new century in San Francisco and Delia Martin is a wealthy young woman whose life appears ideal. But a dark secret colors her life, for Delia’s most loyal companions are ghosts, as she has been gifted (or some would say cursed) with an ability to peer across to the other side. Since the great quake rocked her city in 1906, Delia has been haunted by an avalanche of the dead clamoring for her help. Delia flees to the other side of the continent, hoping to gain some peace. After several years in New York, Delia believes she is free…until one determined specter appears and she realizes that she must return to the City by the Bay in order to put this tortured soul to rest. It will not be easy, as the ghost is only one of the many victims of a serial killer who was never caught. A killer who after thirty years is killing again. 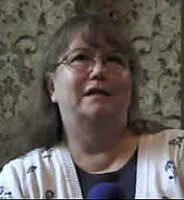 And who is now aware of Delia’s existence. 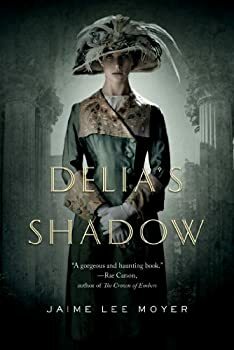 Delia’s Shadow, Jaime Lee Moyer’s first novel, is a fun and light read highly recommended for anyone who just wants to see a hard-edged detective solve a murder mystery while falling in love, with ghosts and Edwardian outfits as excellent window dressing. If that sounds satisfying, then Delia’s Shadowis a perfectly pleasant way to spend a Saturday afternoon. The characters fall into well-worn but very likable categories, the mystery-solving proceeds in neatly-ordered steps, and the romance is sweetly predictable.